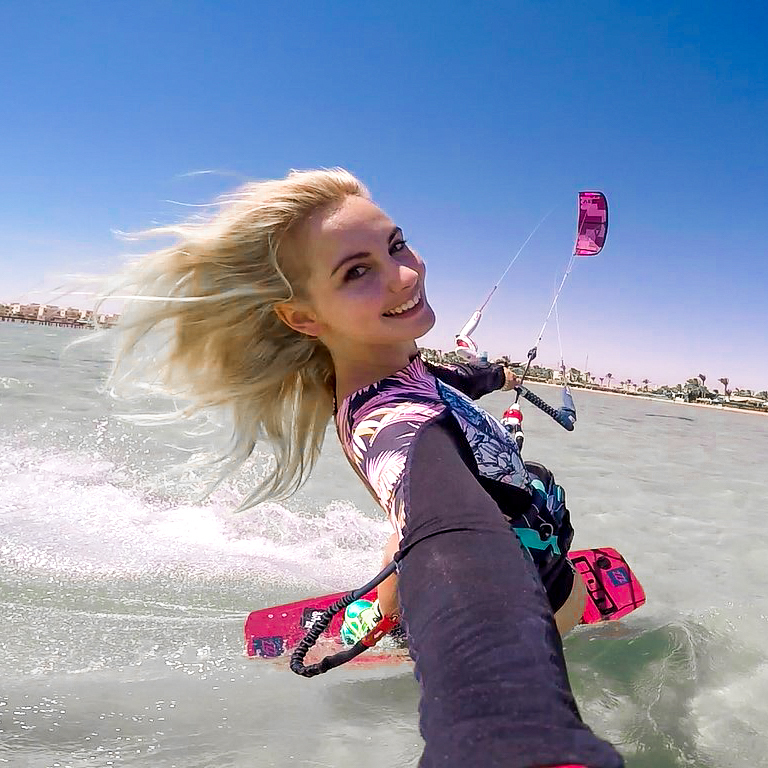 As a Kitesurfer, or just a sporty or outdoorsy person in general, the weather is crucial! I find myself checking the weather constantly and always know the report a few days ahead of time. So as you can imagine, the most frustrating thing is when the weather report is not accurate. There is nothing more disappointing than heading to the beach expecting wind, waves and sunshine, only to arrive there to realise the weather man got it wrong. When planning things like a holiday, weekend away or just my week in general, the weather report is one of my main concerns. So over the years I have been trying out many different weather reports to find out which ones are the best, so as to avoid any disappointments! Of course. Every Kitesurfer knows about Windguru. We read it like the daily newspaper with our coffee in the mornings. We read it as we are about to go out onto the water, as if the Windguru report is more accurate than the actual wind itself. I just love it there. I love to check out the swell, the cloud coverage, the Winguru rating. I also love to search for different countries and see how the weather is there. I often look at the report for Hawaii and dream of kitesurfing there. It’s more than just a weather report website, it’s an escape. It gives us hope for the future. Not only is it good for reporting the wind, but I have found that the rain report is always spot on. And it is not only for kitesurfing or other wind-related sports. Since you can check the weather temperature and wave height and direction it is also suitable for surfers, sailors, fishermen or anyone who is concerned with the weather. If you are as obsessed with it as I am, I would suggest getting the Windguru app on your phone – even more fun features to play with! This is a bit more complicated to use than Windguru, especially if you are new to reading the wind, but it is just as accurate. It is an animated world map showing the wind pattern forecast. You can click anywhere on the map to see a more detailed forecast. You can press play and see the weather report play out hour by hour all across the world over land and sea. What’s great is that you can follow the wind patterns to determine if there is a cold front or windy spell hitting your area. You can also zoom in on an area on the map to see exactly where the wind will be, how strong it will be and it’s exact direction. I like to use this website to check the tides. It also has some other interesting features like water temperature (although the water temperature in Cape Town always stays the same – cold!) and the moon phase, sunrise/sunset times and you can even check out how far the sun is from the earth! If you find yourself kitesurfing in Cape Town, the Best Kiteboarding South Africa Webcam is a MUST! It shows the live wind speed, gusts and direction as well as a live webcam of the beach. That way, you can check the live wind before you go out and even see if there are other kitesurfers out or not. It also shows a wind graph for you to check how the wind has been throughout the day. The Milnerton Aquatic Club (MAC) also offers a live wind speed report. They offer the wind lows, highs and averages in 1 minute intervals, so you can also see if the wind is picking up or dying down. Milnerton is upwind from the main Kitebeach in Cape Town during summer so if you check the wind there, you can see what’s coming in a way. If you have any wind / weather report websites you prefer to use, please let me know and I will check them out! Happy kitesurfing, sailing, windsurfing, surfing, swimming, fishing, running, sun bathing! Windreport.co.za has free Windguru forecasts with a correction factor for local conditions. Live wind readings off actual anemometers at a cost on an SMS basis beat any forecast or buddies at the beach. Check out WINDY (windyapp.co). Don’t check a site. Check the app. You should like it.